Hair clippers become one of the staple accessories for men. No one likes the grown-up beard, messy beard cuts and untidy beardy look, so the best hair clippers for men are introduced to give fresh trim at home. Amazon quality professional hair clippers are the perfect choice for the men who do not have enough time to go to barbershop, in every second day. It is the reliable investment and alternative of barber. 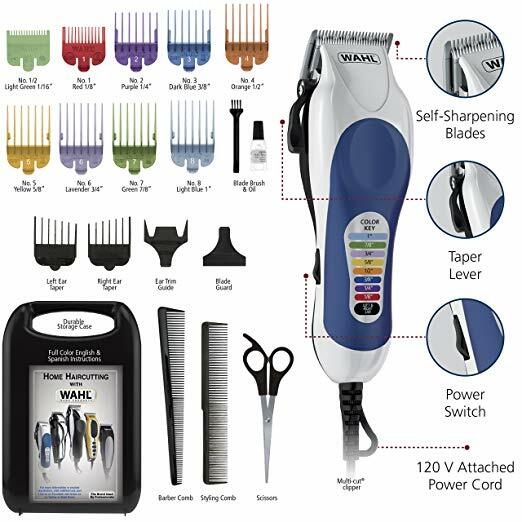 If you want to do high quality hair clippers shopping from USA then this article will help you a lot in finding and picking the best one. We have mention 5 top branded hair clippers for the guidance of seeker. 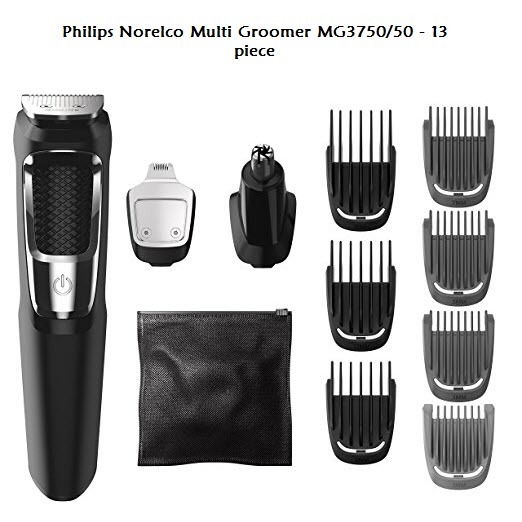 Philips Norelco Multigroom Series 3000 is the versatile featured, all in one, hair clipper or hair trimmer. It is the ultimate men grooming kit, which includes 13 pieces. Men can now get the salon touch grooming in home, as the kit can clip and trim almost all unwanted hairs from face. For the best experience of shopping Amazon hair clippers, you must buy Philips hair trimmer. It is designed with the advance dual cut technology, as it has the sharpest blades that can trim the hairs with neatness. It is heavy-duty trimmer, which does not need the maintenance oil. It is the best cordless hair clipper, which operated on rechargeable lithium batteries. The sharp blades, beard guards and hair guards ensure that you can evenly trim the hair. 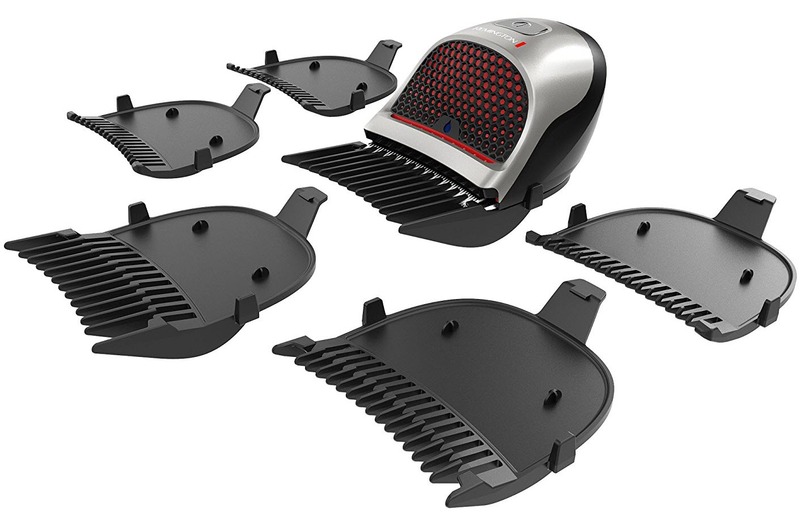 The ergonomic design will let the user to handle the trimmer with better control. It is easy to clean, durable and the best hair clipper for coarse hair. Wahl Color Pro Hair Cutting Kit has the most convenient and efficient hair clipper for men. It includes the color-coded combs, which allow you to pick the correct comb size for perfect hair clipping. The combs are designed to cut the hair in different lengths. It is perfect for the beginners, who want to self-groom the hairs at home. It also has the regulating taper level that assist the trimmer in neat trimmed hair blending. The sharp and high performance blades are made from high carbon steel that can give neat and even cuts. Now anyone can have the professional and expert touched haircut at home. The blades have the self-sharpening capability for maintaining its high performance. It has the ergonomic design so the new user can also handle it with ease and better control. Now you can get the premium quality Remington Shortcut Pro Self-Haircut Kit from USA hair clippers shopping. It is the small size and highly efficient hair trimmer or hair cutter for every man. It contains 13 pieces, which includes nine length-defining combs. It is easy to clip your hairs on sideburns, neck, behind ears, head, beard, etc. It is durable, reliable and convenient to use self-hair cutting kit. It operates on rechargeable batteries, which have the 40 minutes long battery time. The nine length-defining combs are easy to attach and detach. It has the extra wide sized and curved shape blade for better precision and quick trimming. It has the palm grip design and rubberized grip, which allows the user to control the hair clipping with an ease. 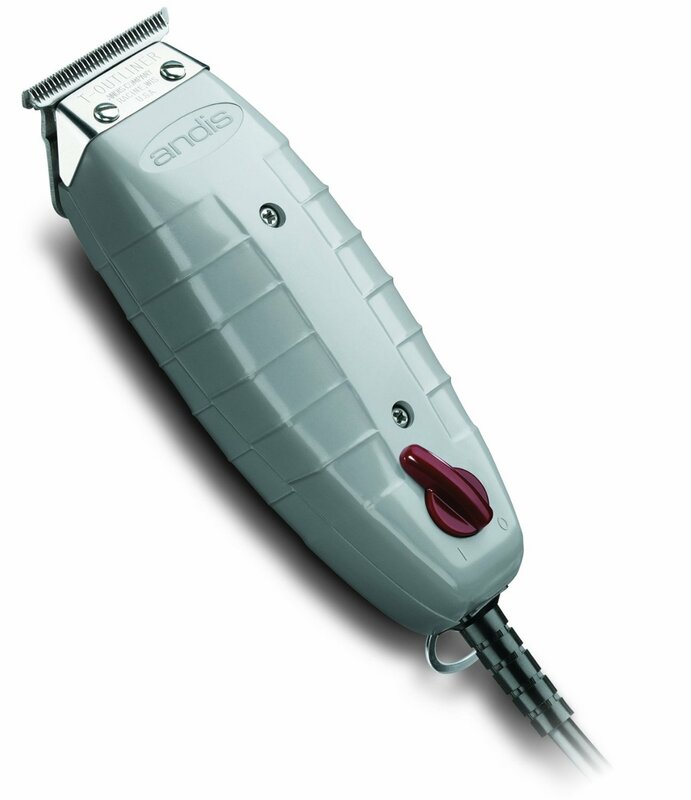 Andis Professional T-Outliner Hair Trimmer is the professionally used hair clipper of men’s salons. It is capable to give the fine and even hair trimming with an ease. By shopping USA imported hair clipper, you will experience the expert touch hair trimming and grooming. It comes with close cutting T blade, which assists you in creating the hair cutting designs. It is perfect to trim and shape the bread mustaches, sideburns, neck etc. you can buy the premium quality and original Andis via Amazon hair clipper online shopping. It is ideal hair clipper to neat the outline of beard, with the high performance T-blade. It has the fine cutting teeth, which are able to create fading design. The high quality blade is made from carbon steel material, which is durable and resilient. Experts prefer to use the Andis T outliner hair clipper for hair cutting precision. 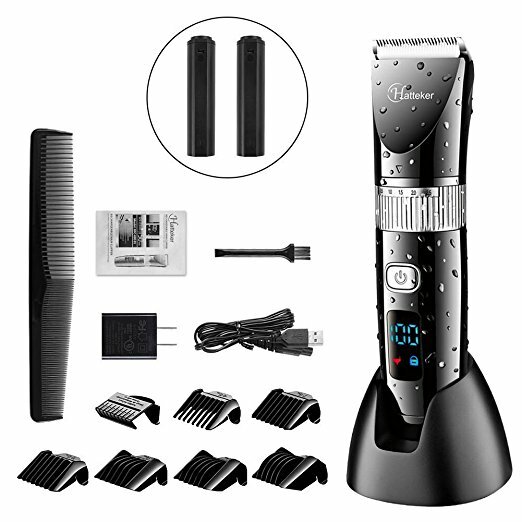 Hatteker Pro Hair Clipper is the ultimate and the best men’s hair grooming kit, which is able to trim, neat and outlines the hairs, beard, mustaches, sideburn etc. The heavy-duty blade is made from durable and reliable ceramic titanium. If you are wandering for perfect hair clippers then you should buy this Amazon quality hair clipper. It comes with different sized length combs for creating different hairstyles and haircuts. The best cordless hair clipper operates on rechargeable batteries. It has the long battery time, i.e. 2.5 hours. You can wash and clean the trimmer’s blade with water, as it is corrosion proof. It also contains cleaning blush so you can clean the clogged small hairs. It has ergonomic design so every beginner can use it with better control. The entire body is waterproof and durable for extending its life span.